Well, what do we have here? 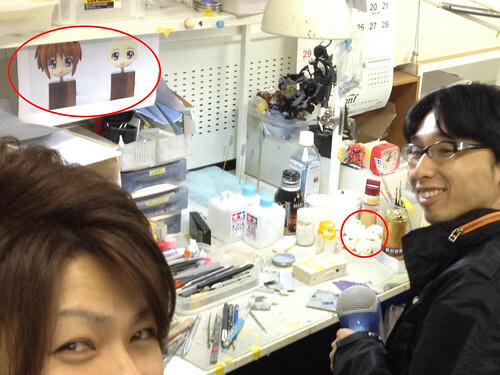 An interesting paper containing a Nendoroid’s face design is spotted there. 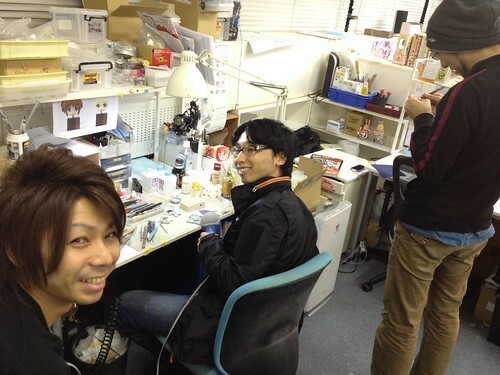 There are some Nendoroid face plates laying there on the desk. 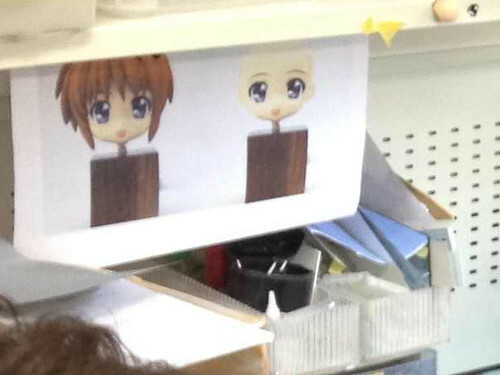 I am quick-guessing that the Nendoroid face design is intended for an unannounced Nendoroid Takamachi Nanoha, as I have compared it to Nendoroid Takamichi Nanoha: The MOVIE 1st version, which was released back then on 2010. This entry was posted in News and tagged mahou shoujo lyrical nanoha, nendoroid, takamichi nanoha. I believe that it is “Takamachi” if I am not incorrect.